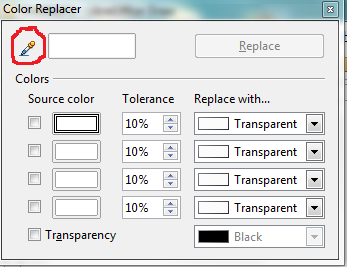 Screen print of the Color Replacer window in Draw with the Pipette icon circled in red. current 2014-04-20T20:08:43 347 × 267 (19 KB) AlanC (talk | contribs) Screen print of the Color Replacer window in Draw with the Pipette icon circled in red. This page was last edited 20:08:43, 2014-04-20 by Alan Cook.